15 seeds. Heirloom tomato originates from Germany, very tolerant to adverse weather conditions. 15 seeds. 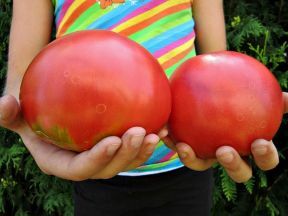 A unique heirloom tomato from the northern Ural mountains, which fruits well at low temperatures. 20 seeds. A very early variety from the south of Russia perfect for cooler climates with short crop season. 10 seeds. A big-fruit, very productive Russian variety known also as Slavic Masterpiece. 15 seeds. One of the earlies varieties in the world. Produces fruits even 48 days after planting. 10 seeds. An old heirloom tomato from Canada. 10-15 seeds. A variety called the hottest pepper in the world since 2012. 15-20 seeds. 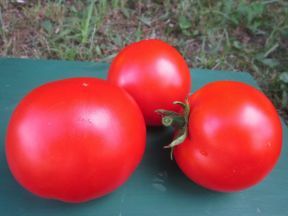 Siberian oxheart-type pink tomato ideal cooler climates. 20 seeds. Russian pink variety with fleshy fruits in oxheart-type containing few seeds, growing up to 500 g.
15 seeds. Big-fruit heirloom tomato cultivating from the 1800s. 15 seeds. An old American heirloom tomato with high yielding potential. 20 seeds. A rare Russian variety also known under the name Auria, very productive and tolerant to adverse weather conditions. 10 seeds. 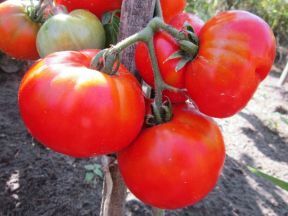 A Russian heirloom variety that is very productive especially in cold areas.